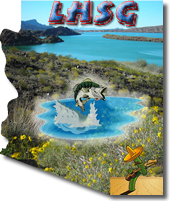 The Texas Sportsguide has seen many a fishin’ season come and go and has remained the premiere fishing magazine in the state. Well, you don’t stay #1 for so long without making some changes. on-line users, the magazine now offers over 20 pages of solid fishing news stories and several pages of advertising, and it’s growing with every issue. Pat McCarty is the Editor and Webmaster of The Texas Sportsguide On-line Edition. He is very happy with the attention his Web pages are getting. He says, “the World Wide Web is the future of advertising and the print media. As of the February 1996 issue, we’ve been getting around 10,000 readers per month and the number is increasing every month.” McCarty provides advertising services for both the On-line and Print Edition under the name of ImageBuilders Publishing and can be reached at (409) 856-8537. But, alas, the World Wide Web is not yet in every home in Texas. It’s not on every boat, pier or in every marina. That’s where the print version comes in. The Texas Sportsguide Print Edition can still be found in local marines, marinas and tackle shops in the Houston, Dallas, Lake Conroe, Lake Livingston, Lake Richland-Chambers, Lake Fork and Lake Sam Rayburn areas. It can even be found in Waco and has subscribers all over the United States. Jim Binns serves as Editor and Outdoor Writer of The Texas Sportsguide Print Edition. The contributors to The Texas Sportsguide include Jim Binns, a highly regarded tournament fisherman with an entertaining fishing story or helpful tricks of the trade to share in every issue. Jim is a Houston business executive who finds time to fish whenever possible, and whenever possible is pretty often! Julia Forney, an outdoor writer from the Conroe area, is a frequent contributor to The Texas Sportsguide Print and On-line Editions. She has been published in Bassin’ Magazine as well as Texas Black Bass Unlimited’s Inland Fisheries. Julia is an active member of Texas Black Bass Unlimited and the Texas Outdoor Writer’s Association. 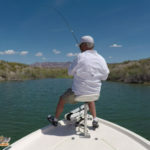 Bill Cannan is a reputable fishing guide and tournament fisherman with experience on all the lakes that The Texas Sportsguide provides coverage as well as the Gulf Coast and sal*****er fishing in general.. The February issue of the On-line Edition even has a fishing article of Bill’s that is set off the Ivory Coast of Africa! Cannan’s fishing articles appear each month in both the On-line Edition and the Print Edition of The Texas Sportsguide. Captain Bill Pustejovsky provides sal*****er fishing information for The Texas Sportsguide a little closer to home. Captain Bill is a full-time professional guide and the owner of the Gold Tip Guide Service that runs out of Matagorda Bay. He has been fishing out of Matagorda Bay all of his 41 years and has kept records of the bay regarding wind conditions, water depth, fish catches, etc., since 1975. Captain Bill knows his bay and provides guide services for wade fishermen and boaters alike. Alan Richardson provides the Gulf Coast Fishing Report for The Texas Sportsguide Print Edition and is also a contributor to the Online Edition. Alan has been writing columns and freelancing fishing articles for six years. 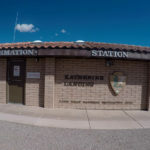 He is experienced with sal*****er fishing, having fished off the Galveston Coast since 1968, and he and his wife Terry own and operate the Fishing Tackle Resource Center in Spring. Alan has hosted outdoor radio shows for four years and has won awards all four years from the Texas Outdoor Writers Association, of which Alan and Terry are members. Keith Warren is a contributor to The Texas Sportsguide Print Edition. Keith is perhaps the most visible outdoorsman in America. He is a regular guest on national outdoor programs and the owner and host of his own program, Texas Angler. 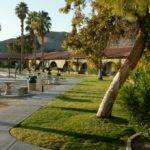 He appears regularly in countless regional and national publications like Bass Masters Magazine, Sports Afield and Texas Parks and Wildlife. His 1994 award-winning video, “How to Catch Trophy Specks,” is touted as the number one selling sal*****er videotape of all time in Texas. Sherry Ruslink is another contributor to the The Texas Sportsguide Print Edition. Sherry is an experienced tournament angler who fishes on the Bass’n Gal Tournament Trail. She has earned several awards for bass fishing including the coveted Texas Lady Angler of the Year Award for 1992 and 1993. Residing in Arlington, Texas, she provides coverage for Lake Fork. 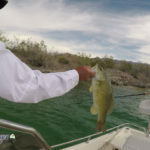 A new page has just been added to The Texas Sportsguide On-line Edition that provides coverage for northern Mexico lakes and the southern United States. In it, Hugo Trevino will “share a few anecdotes and maybe a few tips” for bass fishing. Hugo is a television producer for several big corporations in Mexico. 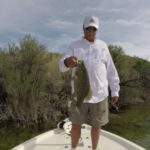 He is an outdoor writer who is very familiar with the fishing that Mexico has to offer. Pat McCarty himself is a contributor to both the On-line and Print Editions of The Texas Sportsguide. Pat has been a tournament fisherman for 20 – 25 years and he has been a licensed guide on east Texas lakes for 11 years. He is an active member of Texas Black Bass Unlimited, a Texas freshwater conservation association. Boots Follmar Marine is a big sponsor of The Texas Sportsguide. Boots has a fine selection of bass boats, both freshwater and sal*****er, and pontoon boats for the professional fisherman or the weekend angler. Boots’ dealership is in Houston and he can be reached at ( 713) 649-2709. Other big sponsors include Pier 45 Marine in north Houston with their impressive lines of ProCraft bass boats and Voyager pontoons, (713) 999-5666, and April Plaza Marina on Lake Conroe. Look for the charity bass tournament there on March 2. Call Ron at (409) 588-1144. Red Wing Boat Company and Fred Lester’s lines of Stratos and Champion boats and Evinrude outboards, (713) 921-0656, Quantum Lures and Skeeter Boats all are sponsors of The Texas Sportsguide as well. In fact, Thomas Ferro of Skeeter Boats has a very informative article on Skeeter Boats in the February On-line Edition of The Texas Sportsguide. Upcoming sponsors of The Texas Sportsguide include Keith Warren of Texas Angler, who can be reached at (210) 625-3474, Holt Taylor of the “Get Hooked on Fishing! Not Drugs!” campaign at (210) 534-4100, TBBU’s 96 Houston Gala (214)388-4724 and Bingham’s Check-It Stick.